Looking for private in-home or in-studio Japanese lessons? Our Brookdale teachers are ready to get you started. Find your teacher today! Check out some of our most popular teachers near Brookdale, CA including Santa Cruz, Los Gatos, Scotts Valley, Boulder Creek and Ben Lomond. Learn to speak and read Japanese, have fun, and get considerably better results than you would in a class. Or use this as a supplement to an existing class and completely surpass it's standards. Explore the methods that make it possible to be conversational within a year. Konnichiwa!!!! My name is Mari Mizutani and I am a native Japanese speaker fluent in both English and Japanese. I grew up in the States but speak Japanese regularly with my parents and Japanese friends. Are you going to japan and want to learn some key phrases? I can help! Do you need someone to practice Japanese with? I can help!! My lessons are in 30 minute increments. Welcome to my music studio! This will be a fun, incredible way to start or continue your music instruction. I have been a private violin and piano instructor since 1991. I took a break in 2005 while my kids were little. Now that they have grown up a bit, I am so excited to come back to this! My teaching methods involve reading notes. I do not teach the Suzuki method. If that is what you are looking for, I can refer you to some wonderful local teachers. I will have 2 recitals a year and some workshops and clinics in between. Thank you and I am looking forward to taking this musical journey with you! Recitals and Performances: I will schedule 2 recitals a year and I highly encourage students to attend and participate in both. mend having a scheduled time everyday that is dedicated to uninterrupted practice time. For 30 minute lessons, I recommend a 30 minute practice. Books and Materials: On the first day, I will have books that you can buy from me. Please bring books to every lesson. PIANO STUDENTS: It is crucial that you have a working piano at home. While I understand it's a huge commitment to buy/rent a piano, playing on a keyboard is not the same. The exception is if you have a full size keyboard (88 keys), with touch sensitivity. VIOLIN/VIOLA STUDENTS: PLEASE consult me before you buy/rent a violin. There are several places that you can buy a violin 'package' for $99. For not much more, you can have a violin that is higher quality and will sound better. Remember, you only sound as good as your instrument! I know several reputable places that rent instruments that are of high quality. Summer Schedule: I will try and be as accommodating as possible for the summer. If you know already which days you will be gone, let me know and we can work it into the calendar. My approach to teaching lessons has always been with a gentle, calm demeanor. However, that said, I do want my students to excel and feel challenged. If at any time, you have concerns, please don't hesitate to talk to me about them. I want this to be a fun experience and the only way to ensure that is to make sure that the port of communication is always open. Thank you and let's get started! I absolutely loved learning from Mari for my piano lessons! As an adult learner, I felt like my brain doesn't work as fast as it used to, so learning a new instrument was difficult, but Mari completely caters each lesson to my learning speed and maximized my abilities. She takes into accounts the areas and types of music I wanted to learn and helped me to achieve being able to play that type of music. I also loved and appreciated that she works around my busy work schedule and accommodating lessons when plans change throughout the week. I would highly recommend Mari as a music teacher to anyone interested in learning a new instrument at all ages! Great violin teacher!!! My daughter can now do vibrato and play at a much higher level. Hi My name is Seiko. I am an experienced Japanese tutor teaching locally in Silicon vally/Bay area, CA. My sessions would be individually tailored based on your interests, necessary improvements and goals. You would most likely use textbooks during sessions. For business needs, my work experience would help you not only learning the language but also strengthening your communication skills in understanding of its cultural aspects and nuance. For job seekers and Japanese college applications, I have experience of reviewing and proofreading resume and essays as well as AP/JLPT test preparations. I enjoy teaching Japanese. I am a native Japanese speaker, born and raised in Japan. I have a college degree in Japan with a secondary teaching credential as well as a BS degree in the US. Prior to a Japanese tutor, I worked at global companies in Japan and the US for 15+ years would be a plus for tutoring and mentoring your goals. engthening your communication skills in understanding of its cultural aspects and nuance. For job seekers and Japanese college applications, I have experience of reviewing and proofreading resume and essays as well as AP/JLPT test preparations. I also teach group lessons (2+ people more). Please ask for the rate. Seiko-San was very cooperative and encouraging during my first online lesson. I believe it was her first time teaching online and she did well. I am really happy today with my experience, she gave me some nice compliments. I look forward to the next lesson. Seiko walks with me every lesson through the "Japanese for busy people" book and I like how she asks me to go through exercises in japanese so I can get used to listening. We also spend time enriching vocabulary. I have a BA and MA in Japanese language and literature. I have lived in Japan twice and studied Japanese for many years. I customize lessons to best fit each individual. Enjoy customized lessons (beg-adv level) from a professional teacher/performer/composer who makes learning music exciting and rewarding. I promise you will learn to play songs in just a few lessons. I also maintain standards of excellence with tailored technical exercises, theory, and sight-reading practice customized to each unique individual. Detailed curriculum provided as well as weekly practice instructions. My students have 2 recitals a year at a gorgeous recital hall with a Steinway grand. each lesson exciting and enjoyable. I use games and apps to make learning music fun for younger children mixed in with playing and singing. I specialize in theory, repertoire, and technique and will find the perfect technical exercises to help you perfect that Mozart sonata or Rachmaninoff prelude. I also love teaching beginners and seeing them learn to love music. I am a composer and work with my band. I have a music channel online (see videos) featuring original music written by me and performed by my band. I compose original piano compositions as well as rock/classical mash-ups with my band. I teach many of my students arranging and composing and several examples of my students playing original pieces that I helped them compose/arrange can be seen in the video section of my Profile. My daughter started taking piano lessons 1.5 years ago, but I couldn't find a teacher who was a good match for her. I found Ms. Toby about 4 months ago and my daughter is now very happy. My daughter wanted to have a teacher with energy, who will motivate and challenge her, and can find the space between too hard and too easy. Ms. Toby's practice routines, song selection, and teaching style has made a huge impact on my daughter's skill in just a few months. Now she is excited to practice the piano in the morning - sometimes she wants to keep practicing instead of going to school! Ms. Toby also lets my daughter have space to practice a song that my daughter wrote, and is helping to guide her and develop these skills as well. With Ms. Toby, my daughter performed in her first recital in October, along with Ms. Toby's other students. It was a great chance for her to challenge herself and play in a music hall in front of a large group of people. I am very pleased to have her as a piano teacher. Toby has been a fantastic instructor for my eight-year-old. From the beginning, she has always been responsive, timely and professional in all scheduling and interactions. She has a remarkable ability to figure out and focus in on a child's talents and interests. My daughter has a particular fondness for composing, which I would have NEVER figured out on my own. But Toby has brought it out and fostered it, and at our first recital recently, my daughter performed her own composition! I have been pretty stunned to see her continual growth and I credit Toby 100 percent with developing it! My 10yr old daughter has been doing lessons with Toby for almost 2 years. She is making great progress and she really enjoys the lessons, she is always eager to go and especially loves that she gets to pick out some songs to learn and has even worked on her own composition! Toby is really helping to foster her love of music and we are excited to continue to see her progress! I am very happy that you are interested in learning Japanese. I am Japanese from Tokyo, teaching Japanese in Berkeley area to beginners to Advanced, children to adult. Many students moved to Japan after taking my lessons, traveling to Japan or passed JLPT N1 to N5. You can set up your goal and learn a real Japanese that you can speak, read and write in your daily life. I make a teaching plan, text and worksheet only for you individually with your goal and preferences. I have a short lesson to teach Japanese only for your traveling, too. I also teach Japanese cooking, Origami, songs, and Japanese calligraphy as a part of lesson, so you can touch the Japanese culture and enjoy them! I am very happy to hear that you are interested in learning Japanese. I have been teaching Japanese children to adult, beginners to advanced. I had a request to teach Japanese to 3 years old girl last year before she moved to Japan in order to attend to a Japanese kindergarten smoothly. So I thanked her that I learned to teach Japanese from 3 years old. Now I can accept a student from 3 years old to any age. you can communicate and exchange conversations or responses with Japanese smoothly because my teaching method is not like a text book at school. If you faced to the wall and struggling, try to change the method to learn Japanese. The text book Japanese at school is good for the test and business, but the proper Japanese is just like the Japanese animation films or movies you want to understand and watch. Moreover, the language is alive, so I add to teach new things including slang which may be not in your text book, to understand recent movies and animation films. I sometime work for a Japanese company in Japan. Currently, I am working with a project for 2020 Tokyo Olympic. If you have any question, please contact me. I am looking forward to seeing you soon. Cancel policy: If you need to cancel your lesson, please contact me at least 24 hours before. Please remember if it was less than 24 hours, it is non-refundable. I’m Luisa and I’m 25 years old. I hold a Bachelor’s Degree in Japanese studies and I'm currently attending a Master’s Program to become a qualified language teacher. I love teaching Japanese to beginners up to level A2 - I’m very passionate about calligraphy. Let me know what your favorite learning methods are: I will make sure that all of our lessons are tailored to your needs and I will provide you with plenty of materials including Japanese music, manga, cinema, and anime! I’m Luisa and I'm from Venice, Italy. I hold a Bachelor’s Degree in Japanese studies and I'm currently attending a Master’s Program to become a qualified teacher of Italian for foreigners. I started my journey as a tutor back in my hometown helping young students with their English, French, and German homework. 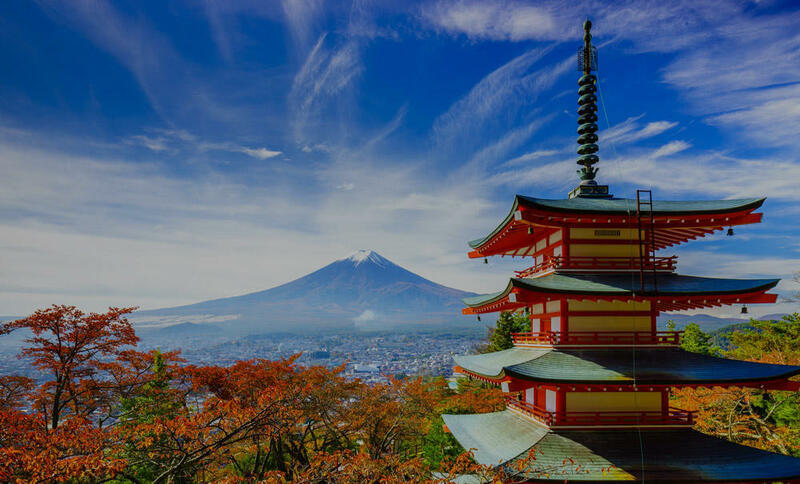 When I was 22 I moved to Japan, where I worked for one year as a Japanese language tutor at Yokohama National University to then move on to a job at Shinjuku Japanese Language Institute - a prestigious language school in the heart of Tokyo. During my years in Japan, I have also worked as a private teacher of Italian for many different kinds of people: university students, US Navy sailors, elderly citizens, busy employees...You name it! so I can share my love and passion for foreign languages with you: I promise it will be fun, entertaining, and mind-opening. She was punctual, kind and helping. I wanted to brush up my speaking and she helped me building up my vocabulary. Luisa is just a great teacher! She is very clear and professional, I love to study with her! Since I had been an exchange student in the US, I had been into learning Japanese culture. This experience made me go to the oldest university in Japan called Ryukoju univ, Kyoto. Kyoto is beautiful. I was always strolling around after school by walk from my home. If you want to learn the Japanese language with a vibrant and colorful background of Japanese culture, ask me at any time. Let's enjoy discovering the mystery of a different culture! Hello people!! My name is Masshi! I am very excited that you want to learn Japanese. Learning is fun. And let's unlock the gimmick of learning! It is my passion to teach. I sometimes become a ski instructor during the winter time. The students are 3-18 years old. I love it. Full of green tea field, pacific ocean, and the magnificent view of Mt. Fuji. This is where I grow up. Since over a thousand year ago, my clan has been living in this area. Also, I'm the 10th generation of my branch family. rful background of Japanese culture, ask me at any time. Let's enjoy discovering the mystery of a different culture! I am teaching Japanese in a language school right now. Surprisingly, many people are learning Japanese in my class in Ukraine! Come to Ukraine to be my student! My interests are... Shakihachi flute, Shinobue flute, Wadaiko drum, Aikido, Bushism history and theory, meditation practice, anime. With Masshy as my tutor, I practiced writing and speaking Japanese within the space of one month and a half. I’m one of those people who feel more confident writing than speaking, especially in a language as different from English as Japanese, but Masshy was eagerly helpful, supportive, polite, patient and kind (the list could go on), and we had fun during our casual conversations, conversation games (‘The three-second game’ particularly stood out to me due to all the fun and excitement of getting to its end with as many questions as possible answered in less than three seconds), and even made up a story together. Feel free to ask him any questions, be straightforward about your needs, and he’ll cater to them to the best of his abilities! Can't find a teacher in Brookdale, CA?